The number one reason for the active chapter's success is that the brothers have formed a tight-knit team that approaches all aspects of fraternity life with the goal of upholding Michigan Alpha's tradition of excellence while developing friendships that we hope will last a lifetime. The active chapter members are mindful of our fraternity's rich history on campus. We understand the trust you've placed in us to carry on the tradition. We want you to be proud to say you're a Phi not just because of your experience at U of M, but also for the reason that the active chapter is a leader in the Greek System on campus. We know that your financial support of the chapter house and the active chapter during these challenging economic times demands great respect. I want to assure you that your investment in the new Michigan Alpha team is very worthwhile. Many maintenance and improvement projects to the chapter house have taken place this year. Your donations have made the 105 year old facility safe, secure and comfortable for the active members. It is also important for alums to know that the excellent condition of the house has helped with our recruitment during rush as a number of the older fraternity houses on campus are struggling with deteriorating living conditions. We've found that the house is an important tool during rush that helps the actives highlight our heritage and self-respect to rushees. The house has been updated with a substantially rebuilt bathroom on the third floor while parts of the second floor bathroom were improved. Having decent bathrooms definitely makes living in the house a better experience. The annoying floor bubble on the second floor has been fixed. The basement features a new counter top and cabinets for our dining area. A serious water leak problem with the steam heating system was repaired. A number of improvements were made in the kitchen, and we purchased a new commercial-sized refrigerator. 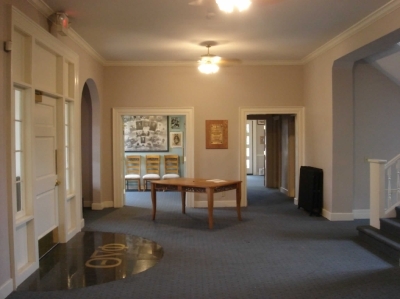 The Alumni Association's investment in maintaining the chapter house is yielding tangible results as more active members plan on living in during the coming year. Having more brothers live in the house reduces the cost burden per resident and enhances the overall finances of the active chapter. In addition, a fully occupied house fosters more cohesion in the active chapter. Michigan Alpha got off to a quick start at the onset of the 2008-2009 school year. We hosted our annual philanthropy car wash with Kappa Alpha Theta sorority in September. 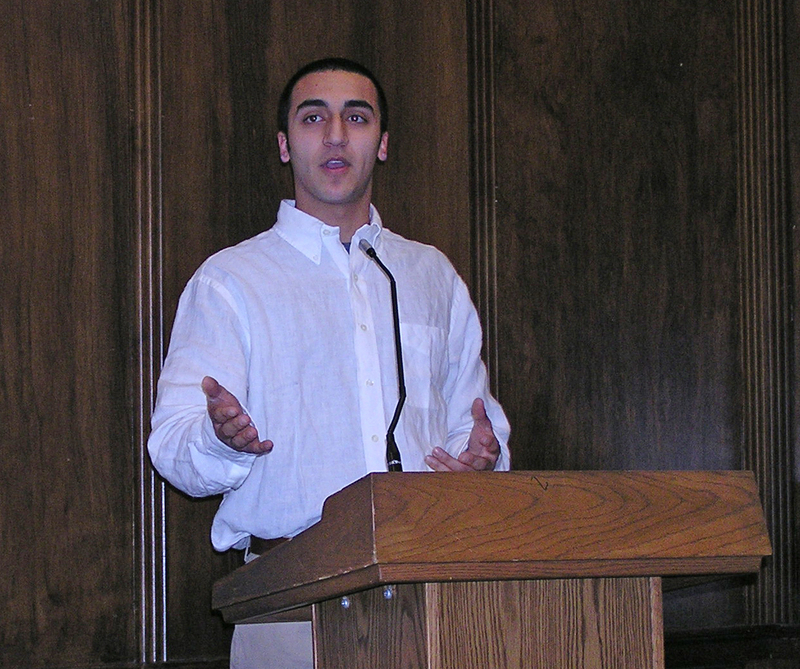 The event attracted many U of M students and Ann Arbor residents. Donations from the fundraiser were given to CASA which is an organization that provides assistance to underprivileged youth in the community. The active members engaged in a packed calendar of activities this fall. We developed brotherhood through group outings to a Detroit Tigers game, Michigan football games, numerous barbecues at the house, IM football games, Mudbowl tournament practices and events with sororities. 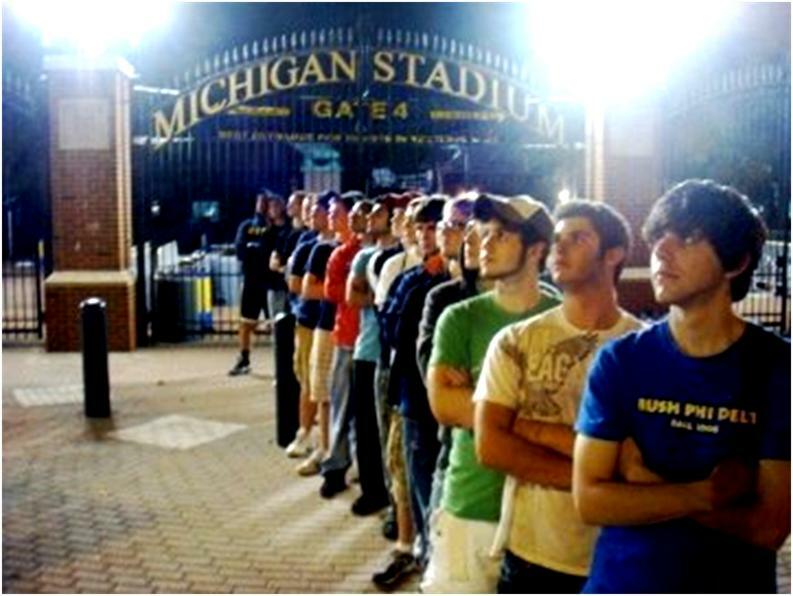 Michigan Alpha prides itself as a house that embodies fraternal brotherhood. Our sense of team spirit truly demonstrates the national fraternity's open motto "We enjoy life by the help and society of others." Our commitment to building the future of the fraternity was on display throughout rush. We quickly dove into recruiting Phi Delt Men through a wide range of events including a dodge ball tournament, a poker tournament, a billiards night, large group dinners, ultimate Frisbee, and getting together to watch Monday Night Football. I would also like to extend a special thanks to Alex Carrick who gave a 110% effort as our recruitment chair. Alex set a goal for a large pledge class of top quality men and he delivered. Michigan Alpha is back to its historic membership levels (65 actives by December), and we believe we can maintain these numbers in coming years. Even as classes became more difficult and mid-term tests loomed large, the dedi cation of Michigan Alpha members to fraternity activities was firm. 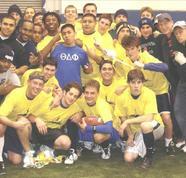 I am particularly proud to report that Michigan Alpha's days as a top intramural sports power on campus have returned. Currently, out of nearly 30 fraternities, Michigan Alpha is in the top 5 for overall IM sports championship points. The active chapter rallied to bring at least 10 brothers to each game to cheer the team to victory. This tight-knit brotherhood has long been a hallmark of Michigan Alpha and separates us from the fraternities on campus with higher membership numbers. Our belief is that it is a better fraternity experience to know all your brothers and support them as they contribute to the team effort. The fall term featured many engaging social activities while complying with the Phi Delt General Headquarters' Alcohol Free Housing Policy. We had a well-organized date party at the Original Cottage Inn followed by a night of nonstop laughter at the Ann Arbor Comedy Showcase. We had several gatherings with sororities and our reputation with them is positive. Football Saturday pre-game tailgating near Michigan Stadium remains popular with the brothers. Active members have had the opportunity to meet and reconnect with alumni visiting Ann Arbor on football weekends. Our Homecoming Open House at 1437 Washtenaw provided alums with a chance to meet the active members, tour the house, have refreshments and reminisce about past glory. Congratulations to newly elected Michigan Alpha President John Sturgis VII and all the other the new members of the Executive Board. These brothers are highly motivated and they will undoubtedly keep our momentum going during 2009. System, but across the country. With the continued support of alumni, the active chapter will achieve new heights. While the legend of Michigan Alpha's storied past on campus is tremendous, I firmly believe you will find that the new generation of the fraternity is dedicated to ensuring that our best days are yet to come.